Zouk KL has cancelled a private event by dating website TheSugarBook. This was confirmed to A+M by TheSugarBook’s spokesperson. TheSugarBook is a dating website that allows individuals to meet Sugar Daddies, Sugar Mummies and Sugar Babies for “benefits”. According to The Star, the move came after an announcement of the private party, which was tagged as “Where romance meets finance”, went viral on social media. 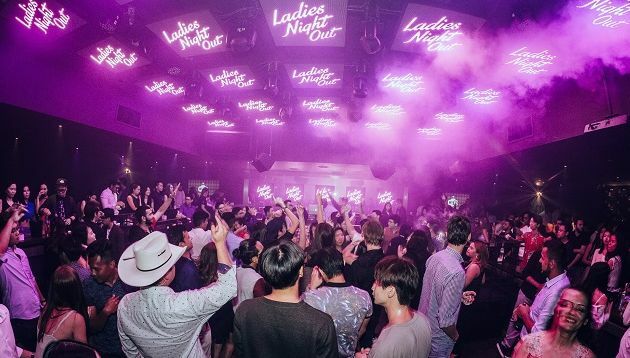 Zouk KL allegedly cancelled the event as it had a sexual connotation and its management was worried it would be in the spot again, The Star reported. The concerns were due to the fact that Zouk KL was previously involved in a “controversial product launch event” three weeks ago by a celebrity entrepreneur. The The Star however, did not name the individual. A+M has reached out to Zouk KL for comment. Just in February, Zouk KL was thrust into the spotlight after celebrity entrepreneur Neelofa came under fire for launching her new hijab collection at its venue. The move saw netizens voicing their disapproval of her launching something as religious as the hijab, in a night club. This saw Neelofa apologising and adding that all cultural and religious sensitivities will be considered for future events. In a statement to A+M, TheSugarBook’s spokesperson said the private event was meant to be its first brand launch party for its users and invited guests. While there are no sponsors for the event, TheSugarBook is open to collaborations. The spokesperson added that TheSugarBook is currently in negotiations with “a few posh entertainment venues” in KL. Its marketing strategies mainly revolve around digital and PR, with the company focusing its efforts to debunk the stereotype and taboo of sugar dating. “We do not condone any illegal activities and we are not a [dating] agency,” the spokesperson said. She added that the platform has about 120,000 users from Malaysia, Singapore, Indonesia, Thailand and Hong Kong. In Singapore, The SugarBook was recently up for Parliamentary debate, with Minister for Social and Family Development Desmond Lee confirming that police will keep a “close eye” on the platform. This includes the individuals who use its services. Lee added that sugar dating platforms such as The SugarBook “commoditise and devalue relationships under the cover of a ‘mutually beneficial arrangement’”. As a result, relationships become transactional and an exchange of money and gifts in return for companionship and “other” services. Neelofa beauty backlash: Should the brand or influencer take the fall? Will Melaka's latest destination marketing effort feel the love? The 18-month project sees a new design philosophy across all areas of the Cathay business from its websites, lounges, cabins, in-f.. The body said that it had reasonable grounds for suspecting that section 54 of the Competition Act (Cap. 50B) has been infringed b..